Preceded in death by her husband Eugene Vogltanz; daughters, Mary Kathleen Vogltanz and Annette Kay Pflug; great granddaughter Anna Jane Abbott. Survived by children, Michael (Carol) Vogltanz, David (Sara) Vogltanz, Patty (George) Cullan, Danny (Linda) Vogltanz, Susan (Greg) Pumphrey, Carol (Steve) LaHood, and Pam (Jim) Mauch; 24 grandchildren. 19.5 great grandchildren; son in law, Tony Pflug; her large extended family and dear friends. To send flowers or a remembrance gift to the family of Anna Mae Vogltanz, please visit our Tribute Store. 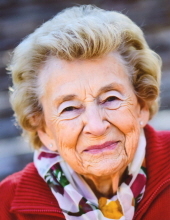 "Email Address" would like to share the life celebration of Anna Mae Vogltanz. Click on the "link" to go to share a favorite memory or leave a condolence message for the family.